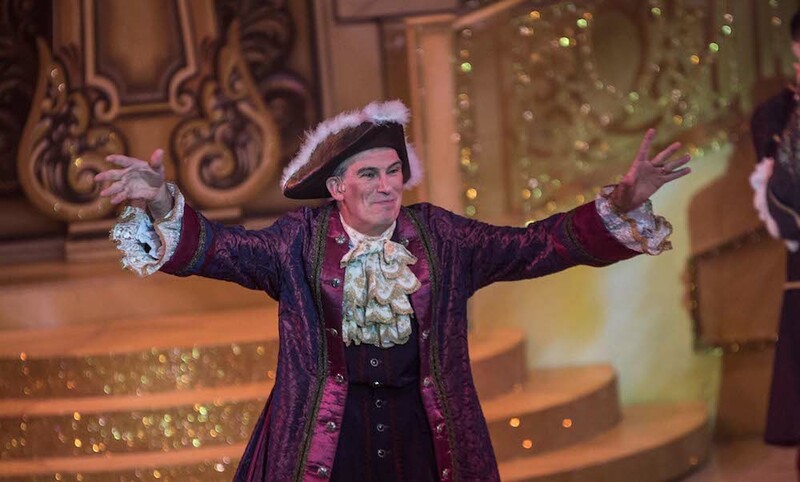 Forget the big name (er, C-list celebrity) Christmas pantos – if you want to see how pantomine should really be done, get yourself over to The Octagon in Yeovil to see this year’s production of Cinderella – it’s a corker! 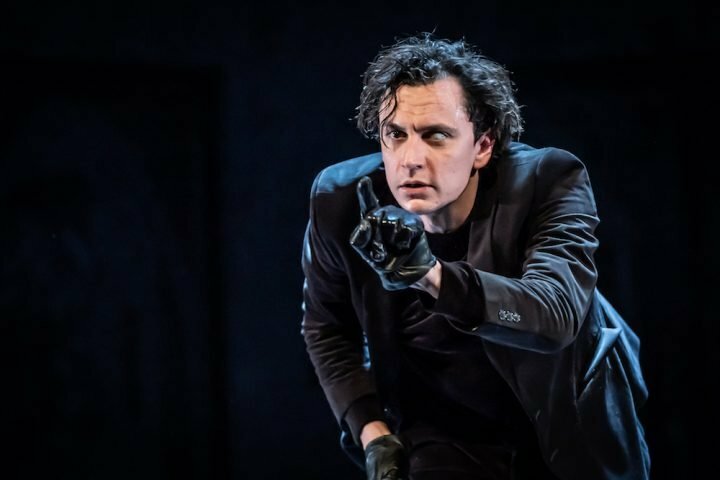 No need to tell you the story, this is a traditional take on the classic tale but the action rattles along at a pace (there are no boring bits), the double entendres, jokes and puns are cheesey (of course) – but they got genuine laughs rather than groans and there were loads I’d not heard before. The sets and costumes are fab. 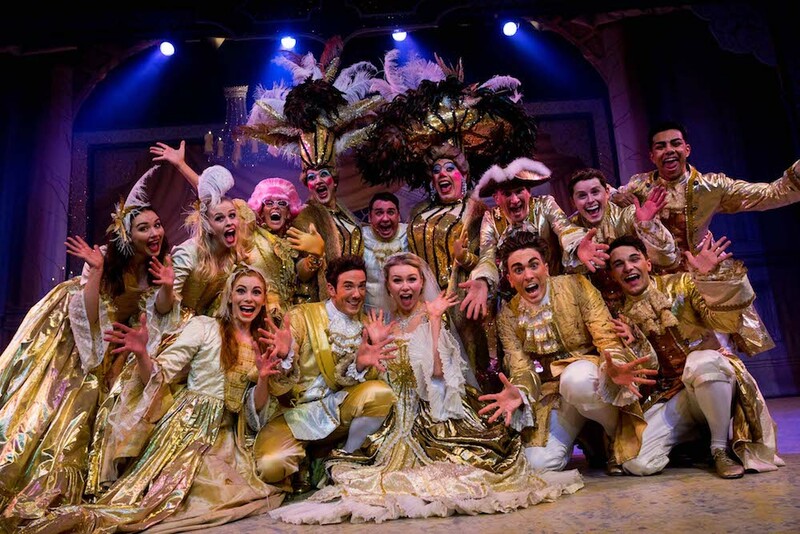 But what makes this panto for me is the stand-out cast. Comedian Jack Glanville as Buttons had the audience eating out of his hands from the moment he walked on the stage – the rapport is natural, not forced – Cinders, you married the wrong man! Joanna Sawyer was a very sweet Cinderella and Ashley Emerson a handsome Prince Charming. 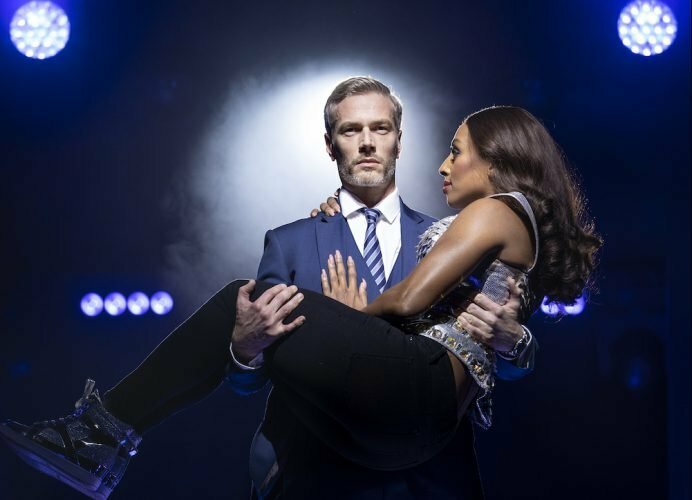 There’s a bit of chemistry between them – and they can both carry a pretty tune (even got a lump in my throat at one point, gulp). Lizzie Frances as the Fairy Godmother set each scene with her comic rhyming couplets and there was more than a hint of Mrs Overall when she appeared to Cinderella as the Old Woman. 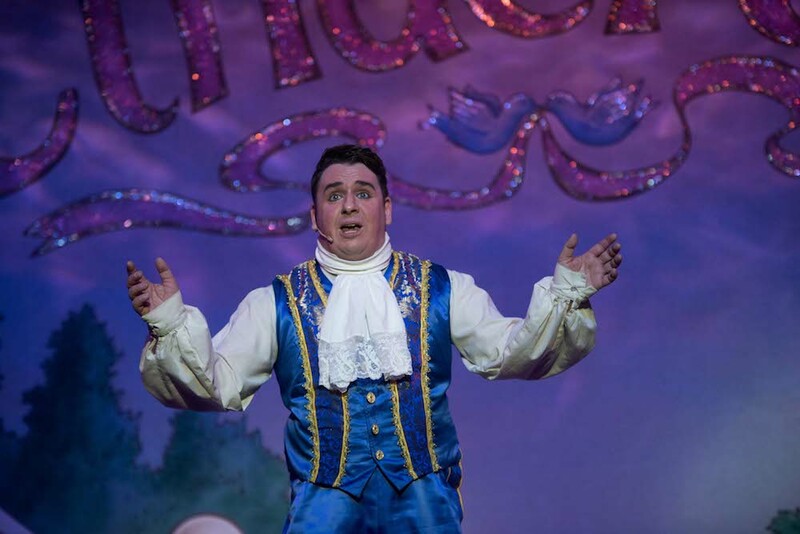 The prince’s manservant Dandini is local boy Thomas Ford (he hails from Crewkerne and studied at Yeovil College before acting school). He’s handsome, funny and had great comic timing. Fave joke: posh person’s greeting : air hair lair (say it out loud). 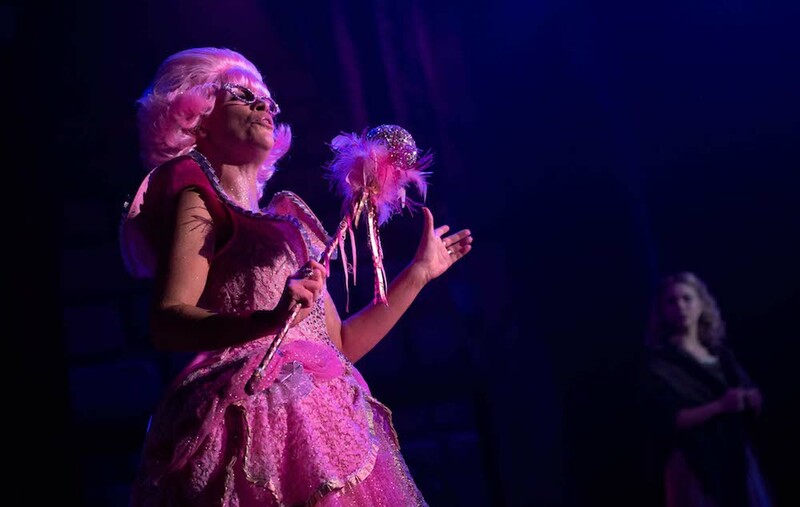 Matt Daines (who also directed the show) and Ian Smith are awfully brilliant as the ugliest of Ugly Sisters, Beatrice and Eugenie, (a bit mean, boys, those real life prinnies aren’t nearly so well dressed), with the costumes and wig changes coming thicker and faster by the minute. 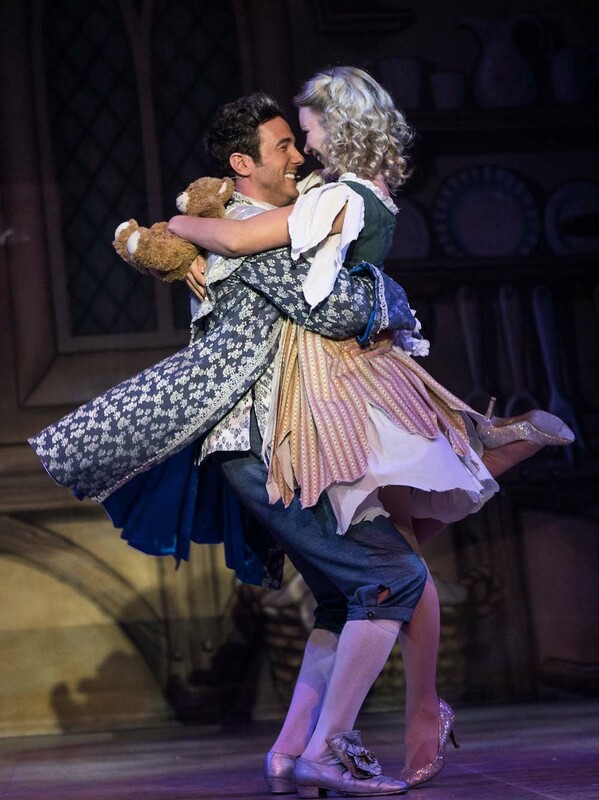 Mark Faith, all gangly arms and legs, was perfect as Cinderella’s slightly feeble father Baron Hardup. There are live musicians in the pit – you can just see the top of Musical Director’s Dan Tomkinson’s head through the large square hole in the front of the stage. Very impressed that none of the cast fell down it. The supporting cast of singing and dancing courtiers, both professionals and local kids, are full of energy and pizzazz. It’s got audience participation by the bucketful and a showstopping end to the second half – don’t want to spoil the surprise but it involves a flying horse and a light blizzard. The finale’s not half bad either. This is good old fashioned fun. And we don’t get enough of that. Go see. 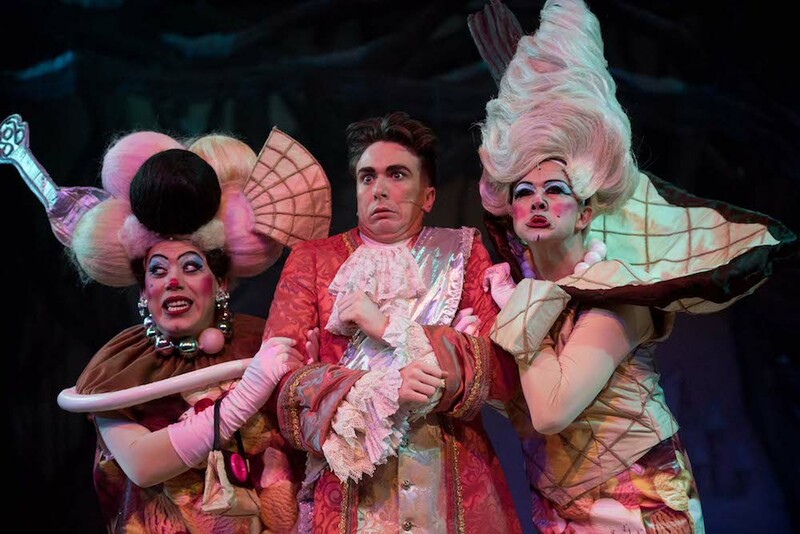 We’ve got a family ticket for four people to see the panto on Sat 30 Dec at 6.30. All you need to do is LIKE and FOLLOW the Somerset Muddy Stilettos Facebook page, SHARE the post and write BEHIND YOU! in the comments box. The winner’s name will be announced on Christmas Eve, Sun 24 Dec.